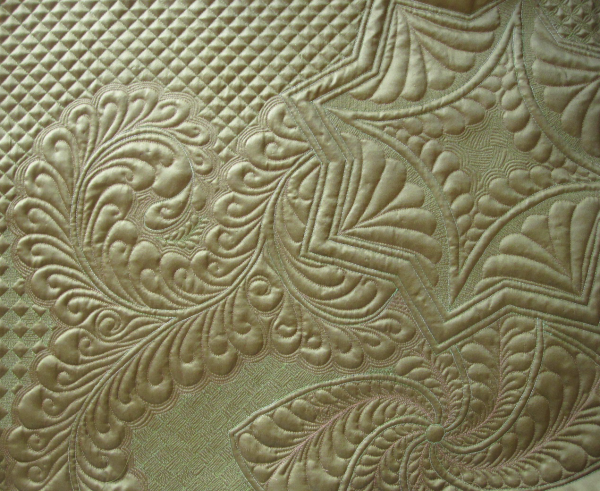 This class is definitely not for your beginning quilter; it is for someone who is already comfortable with free motion techniques, but wants to build on those skills with more detailed quilting. Beyond the Basics touches on feathers (it's a great follow up to Feather Frenzy - you can simply continue on the same piece!) and concentrates on design, thread colors / weights, and background fills.